You’ll wow the crowds as you step in the room in the latest release from NX-Nardcotix. This shoe makes fashion-forward accessible and chic with it’s elevated style and dramatic bow. The Miranda Wedge is part of the MANA shoe-line, with easy-to-use resize, skin tone adjuster, and quick-change nail polish. Each shoe $520L comes with single bow color and silver bow option. The full color pack of all seven delightful hues for the shoe and bow and at $1850L is a great option for any true shoe diva! 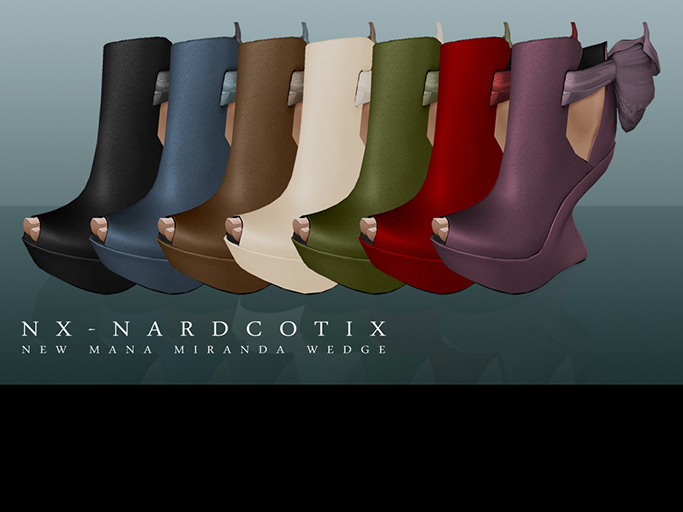 Miranda has landed – get your pair today!! Available at our Mainstore and MARKETPLACE!